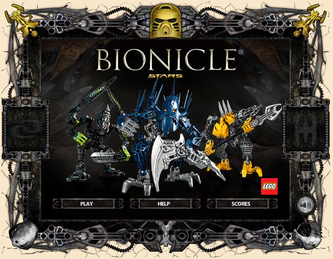 This last game for BIONICLE, released on 18th February 2010 on BIONICLE.com, focuses on the six BIONICLE Stars sets Tahu, Gresh, Takanuva (on the good site) and a Skrall, Nektann (Piraka) and a Rahkshi (on the bad site) and also some sets from 2009, namely the Glatorian sets Malum, Strakk (on the good site) and the Fero & Skirmix and Tuma sets (on the bad site) and also on the Golden Armor. 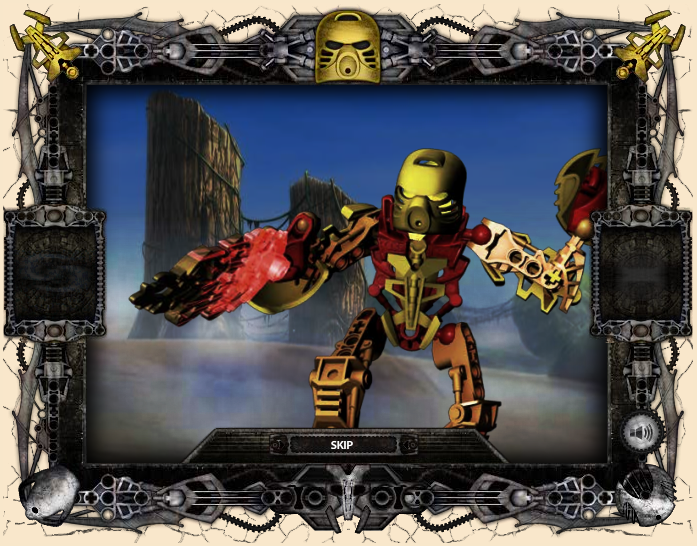 It is the first and only BIONICLE online game in tower defense style where you pick one of the five good characters and place them on the map. 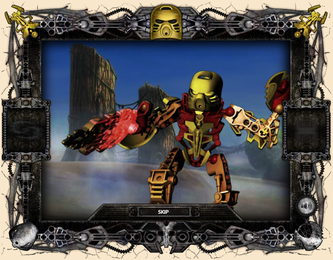 You can create as many characters as possible with your current amount of Protodermis which you receive as you defeat hordes of evil and with the Protodermis upgrade your characters' fire range, fire rate and/or fire power. 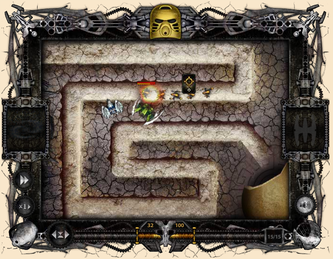 The characters can be moved freely even as the hordes of bad guys start appearing. 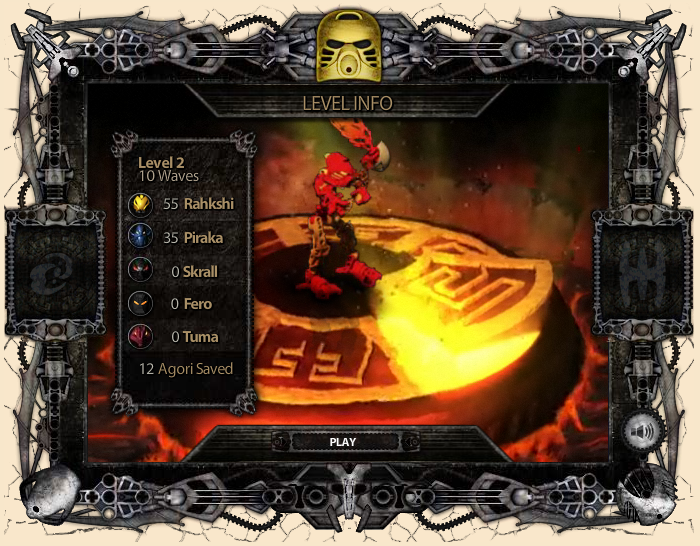 After each completed level, a piece of the Golden Armor is retrieved, unlocking a special bonus attack. 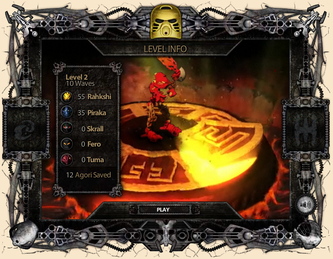 The game features excellent graphics, two short cutscene animations, six unique, visually distinct levels plus a bonus level and highscores (LEGO ID required). 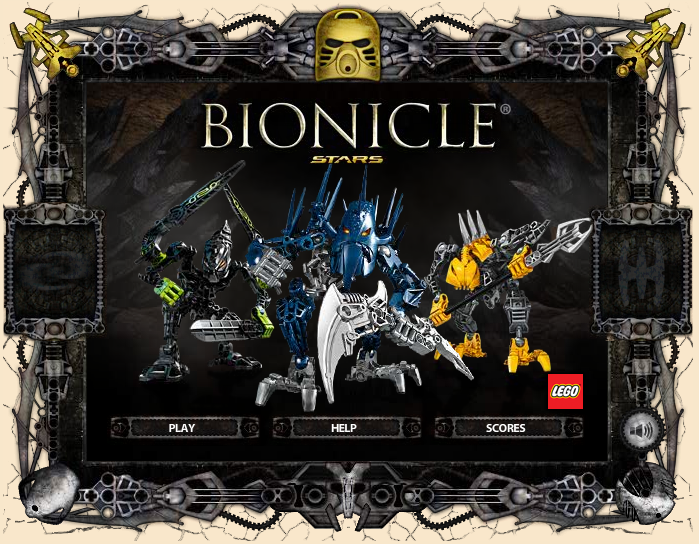 Now you can also play the game offline thanks to JrMasterModelBuilder but the online version on BIONICLE.com is recommended. 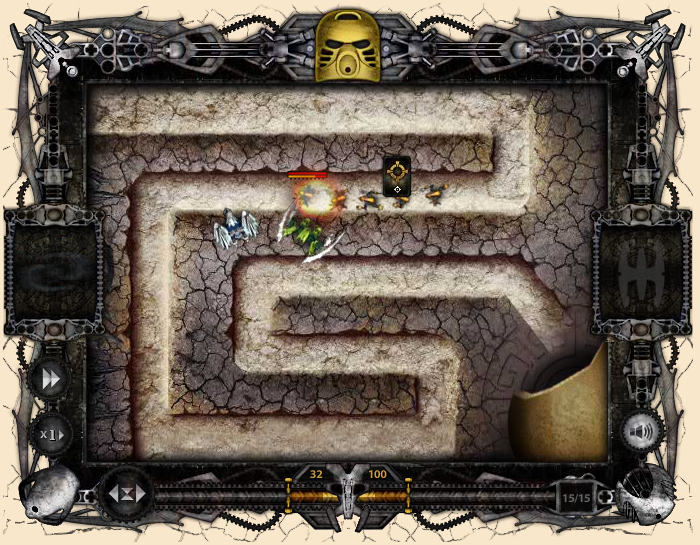 Controls: Mouse, Keyboard (optional, P for pausing). Requirements: Unzipping software (WinZIP, 7-Zip, StuffIt Expander), Web browser for HTML version, Adobe Flash Player 8 or higher (Adobe Flash Player browser plugin for HTML version), XAMPP for saving version (BAT files PC only), any text editing software for readme files.